5. 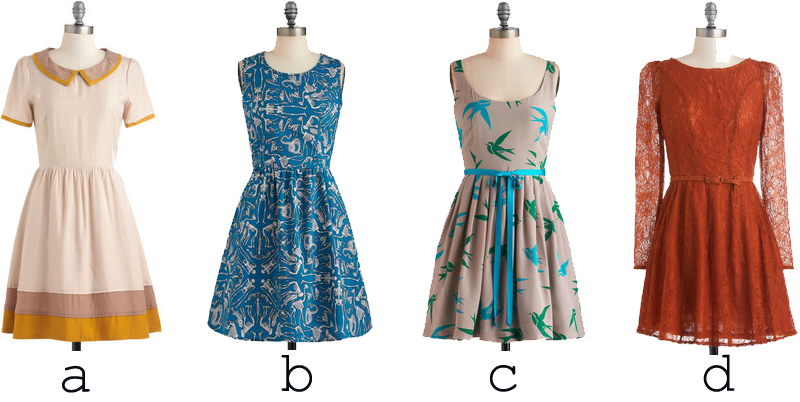 ModCloth has too many good dress right now. If you are as crazy about any of these dresses as I am you can get $20 off your order of $50 at ModCloth up until October 2nd if it is your first ever ModCloth purchase. There are so many awesome pieces for fall that now is a great time to take advantage of that. Also, I'm trying not to shop so I like to live vicariously through other shoppers and get excited for them! 4. This plate is awesome!!! 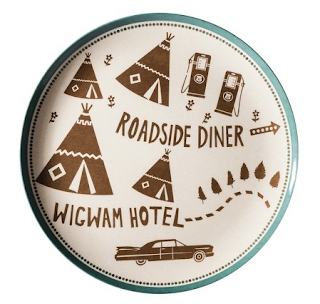 Kaylah and I have talked about staying at a wigwam hotel and I think we both need one of these plates. Also, along with the plates there are tons more things in the Curiosity Shoppe Collection. I have a lot of great recipes but I have been thinking lately of writing my favourites onto cards or into a mini book so I don't have to remember what cookbook it came from. I really love seeing how different people style the same piece of clothing. I get kind of geeky about it actually. It is just so interesting to me! Anyways, Elsie and Emma look so cute doing this little feature! Oh and just as I was about to post this I noticed that there is a behind the scenes video...another one of my favourite things! This week has been a busy one for me. I hope you are all having a good week! I loooooove those plates! I wish that they were ceramic instead of plastic. But then again, that might be a bad thing as I'd have to buy every single one in the line and break the bank. I love the recipe card idea. Whenever I see a recipe I like, I write it down in a notebook. After I try out the recipe, it's going to go into a binder that's organized by types of recipes! Every one of those dresses is adorable and a must have. I'd love a binder of recipes over cards, even though there are tons of cute vintage recipe cards/holders. I also geek out over the styling of clothing, I've been getting a lot of inspiration my mind opened up to a new world of layering lately. I can't wait for cool weather to try some things out! 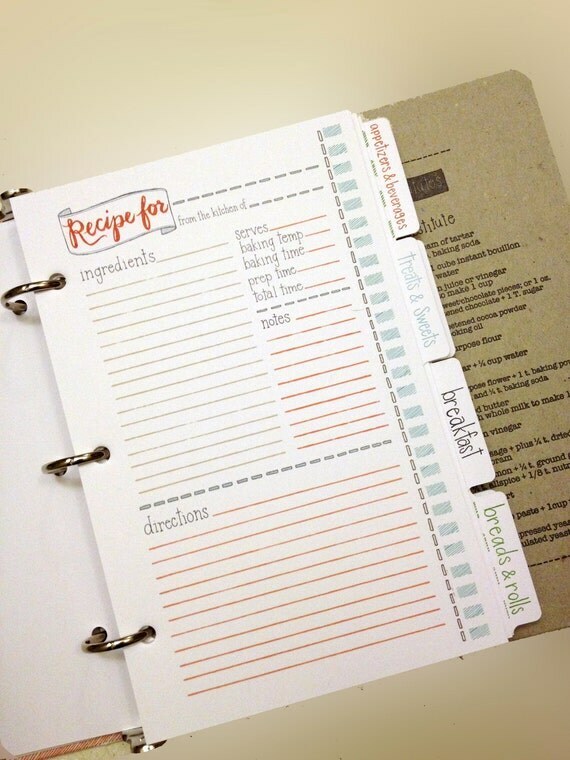 I need a recipe holder asap, my cooking life would be more organized and easier! - I recently bought a pair of oxford shoes and they're fantastic! Elsie + Emma are so amazing!! Awesome list!! Those shoes sure are fancy! those plates! i'm going to target after work! if you guys do the wigwam motel you should do the one in cave city kentucky. we stayed there for our anniversary one year and it was awesome, and cave city is full of weird kitchy attractions. All those things are sooo cute! Love the dresses. I would shop at ModCloth sooo much if they lengthened their skirts & dresses. I don't like anything that hits mid-thigh... I want mine to hit the knee at the very least. Such a bummer too because they have some really lovely pieces.